Osteopathy is one of only two Complementary and Alternative Medicines (CAMs) that are regulated under UK law. Therefore this regulation works in much the same way as regulation for medical doctors. 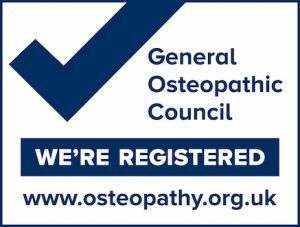 As a result all osteopaths are required to be registered with the General Osteopathic Council (GOsC). The main focus for Osteopathy is on the diagnosis, treatment, prevention and rehabilitation of problems. These treatments can gain improvements to all areas of the skeleton, including spine, joints, muscles, tendons & ligaments. Osteopathic treatment is based on a variety of techniques and its delivery is individual to the clients requirements. The K2 Leisure Centre in Crawley is a great facility for our Osteopathy clinic as our patients visit the location frequently for other activities. Book your Osteopathy appointment at K2 and start your road to recovery. Follow the link to read more about Osteopathy to see if it can help you. Then book your Osteopathy appointment at the K2 Leisure Centre in Crawley.